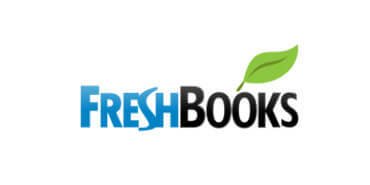 FreshBooks is an online accounting service that has been around since 2003. It started out as a useful invoicing tool and has expanded its scope to include a variety of services that help its clients efficiently manage their businesses with facilitated invoicing, easier time and expense tracking, and other smart accounting solutions. In more than a decade of its existence, over 10 million people have used this service. Recently, FreshBooks has launched a new version of the website, with an improved interface and a variety of useful tools. Although the latest edition of the service is yet to reach its full potential, we have decided to give it a closer look, see what it currently offers, and report our findings in this detailed FreshBooks review. 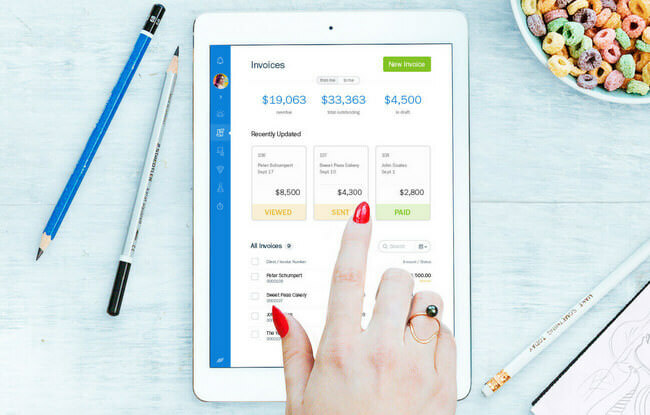 FreshBooks is a cloud-based accounting solution with a wide spectrum of services divided into 7 crucial elements: invoicing, expense tracking, time tracking, project management, estimation, online payment solutions, and financial reports (more information about each segment available in the Tools & Features section of this FreshBooks review). By automating a variety of tasks, FreshBooks allows non-accountants to handle finance-related matters in a simple, fast, and secure manner. It offers solutions tailored to the needs of businesses of various sizes, from those that have no more than 5 clients to large businesses with more than 500 clients and counting. Being cloud-based, FreshBooks allows its users to enjoy the benefits of its accounting software without being tied to any particular computer, thus allowing them to access it from any device, anywhere. With handy iOS and Android apps, FreshBooks users can easily manage their tasks on the go. Is FreshBooks Right For You? 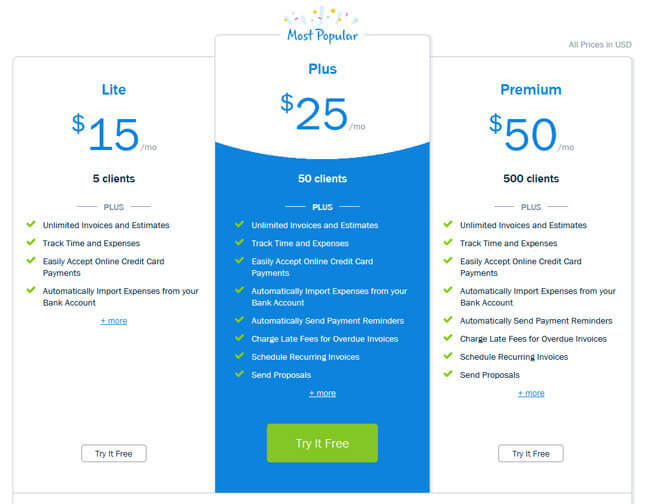 FreshBooks is designed for two types of clients. The first category includes self-employed professionals who want to focus on their work, spend less time on accounting, and enjoy the benefits of automated recurring invoices, easy expense tracking, time tracking, facilitated cooperation with contractors, and well-designed reports. The second category includes agencies, consultancies, and firms. What FreshBooks offers to these clients is easier invoicing and accounting with automated recurring invoices, facilitated team collaboration, easier billing for the team’s hours, automatic payment reminders and fees, and an easier way to receive invoices from contractors. While FreshBooks takes pride in offering accounting software particularly designed for non-accountants, the service offers great opportunities for accounting professionals as well. Accountants can get FreshBooks-certified free of charge by attending a free live webinar. Attendees get 2 CPE/CPD credits, a FreshBooks Certified badge they can display on their websites, and the opportunity to learn directly from the FreshBooks team of account managers. 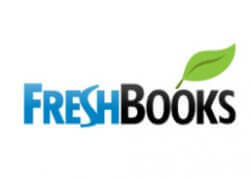 FreshBooks-certified accountants can easily get new clients by adding their firm to the FreshMap, an online directory designed to match FreshBooks customers who are in search for an accountant with certified experts who can provide assistance in advanced matters that fall outside the scope of an online accounting service. As promised, in this section we will go over all segments of the FreshBooks service spectrum individually, highlighting their most prominent features. FreshBooks allows its users to create and customize invoices in less than a minute. With an abundance of customization options, users can choose templates, change fonts and colors, add their logo, and create invoices that look highly professional. Moving away from the aesthetics, FreshBooks offers a variety of incredible invoicing solutions, including automatic and customizable payment reminders, automatic late fees, automatic recurring invoices, automatic tax calculations, easy invoice duplication and adjustment, deposit requests, multi-currency billing, multi-language invoices, received invoice storage, preview before sending, simple invoice summary, setting due dates for invoices, adding discounts on invoices, and accepting credit cards on invoices. By securely connecting their bank account or credit card to FreshBooks, users can easily keep track of all of their expenses and have everything in one place, with their records always up to date. Apart from having their receipts safely stored within the FreshBooks software, users can always be well-prepared for the tax season with tax-friendly categorization. Expenses can be edited at any time, the software remembers all commonly used vendors for faster logging, sticking to the budget is facilitated with clear summaries, and all the expenses are easily tracked regardless of the currency. For more efficient time management, increased productivity, and easier tracking of billable hours, FreshBooks offers a variety of time-tracking solutions. 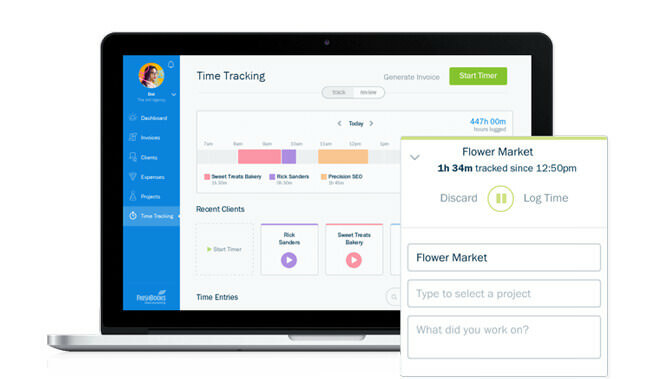 It provides daily breakdowns of tracked work hours, allows users to keep the hours of everyone on the team in one place, offers an easy way to log hours in a click, includes a handy timer for facilitated tracking, lets users track time against specific clients as well as projects, and most importantly, allows them to automatically bill for the tracked hours. To easily and successfully manage team projects, FreshBooks allows users to create projects and invite everyone from employees and contractors to clients to collaborate with maximized results. Sticking to the schedule can be facilitated by setting a due date, all files pertaining to the project can be easily uploaded and readily accessible, all the discussions between team members are stored and available in one place, and keeping track of the progress is made easy with clear and simple project overviews. Making billing faster and effortless, FreshBooks allows its users to quickly create and send estimates and turn them into invoices in a second. Users can preview estimates and quotes, track estimate status ranging from viewed to accepted, allow clients to accept estimates online, respond to client feedback, add discounts, and send estimates in different currencies. FreshBooks offers excellent solutions for accepting online payments. Its users can start accepting credit cards in one click, enjoy the benefits of automatic payment recording and quick bank deposits, accept international currencies, and have all the transaction data encrypted and secured. Finally, when it comes to financial reports, the service offers a variety of handy reports and summaries. Users can keep track of their finances with summaries of profits and outstanding revenue, profit and loss reports, sales tax summaries, expense reports, accounts aging reports for easier tracking of overdue invoices, and detailed invoicing history. To help its users get acquainted with the software and the opportunities it offers, FreshBooks has designed an excellent searchable knowledge base with over a dozen of categories. It further boasts a great blog for small business owners who want to learn more about smart accounting solutions and the current events and trends in the field. Its invoice template gallery includes invoice templates for different kinds of businesses, ranging from legal to creative. For users who want to complement FreshBooks with useful apps, the service offers a detailed overview of potential add-ons that can be of use to its clients. FreshBooks offers 3 basic pricing plans: Lite, Plus, and Premium. The Lite plan is designed for businesses with up to 5 clients and costs $15 per month with the monthly subscription or $13.50 per month with the yearly subscription. The Plus plan is tailored to the needs of businesses with up to 50 clients. It costs $25 per month with the monthly subscription and $22.50 per month with the yearly subscription. Finally, the Premium plan is best suited for businesses with up to 500 clients. It costs $50 per month with the monthly subscription and $45 per month with the yearly subscription. All plans come with a 30-day free trial and a 30-day money back guarantee. What we particularly like is the fact that no credit card is required for the free trial and the 30-day guarantee allows users to get a full refund if they are not satisfied, with no deductions. With all 3 plans, users get to enjoy the basic set of benefits, including unlimited invoices and estimates, tracking time and expenses, accepting online credit card payments, and the possibility to automatically import expenses from their bank account. In comparison to the Lite users, Plus and Premium users get to enjoy an additional set of features, allowing them to automatically send payment reminders, charge late fees for overdue invoices, schedule recurring invoices, and send proposals. For businesses with more than 500 clients, the service offers custom plans known as FreshBooks Select. While FreshBooks is generally described as an excellent service, particularly for self-employed individuals and businesses with a smaller number of clients, there is something that cannot be overlooked. Long-time users of FreshBooks were generally highly satisfied with the previous version of the service, now referred to as FreshBooks Classic, and feel slightly disappointed with the new edition. Namely, the all-new FreshBooks lacks some of the useful features included in FreshBooks Classic, such as inventory tracking and different kinds of reports. However, it is worth noting that the new version is still fresh and likely to be further improved. What is more, the enhanced interface and the features already included are enough to make the new edition of FreshBooks a good choice for a vast range of users. At the beginning of this FreshBooks review, we mentioned that this new edition of the service still awaits further development. However, based on everything stated above, we feel comfortable saying that the all-new FreshBooks is already an excellent online accounting service that offers more than many of its competitors. Best of all, it is only going to get better and we are confident that it will soon secure its place at the very top of the market. Our ratings are the result of an objective and independent evaluation of FreshBooks, generating the final rating that reflects the overall quality of the company. Ratings may change as the service changes. FreshBooks user rating based on 4 user reviews. The reviews listed below reflect the opinions and experiences of real users and are in no way influenced by the reviewed companies. Before publishing each review, our team checks whether it was submitted by an actual user in an effort to prevent false or spammy reviews. Just getting started with FB, but I already love the invoicing options. Just not having to remind clients about their late payments myself is worth the money. Excellent for freelancers, but not sure it’s the best choice for larger businesses. Excellent support, easier to use than other software I’ve tried, no regrets here. I hate to be one of those guys that pour hate on everything new, but I do think that FB Classic was better. Still, I love the new UI and maybe I’ll switch to the new version once they throw back in all the features they forgot to include. We found 0 verified FreshBooks promo codes for April, 2019. There’s no FreshBooks coupons or discounts right now. If you like FreshBooks but aren’t sure whether they are truly the ideal choice for you, you may want to take a look at our comparisons below to discover if one of their competitors is more suitable for you.